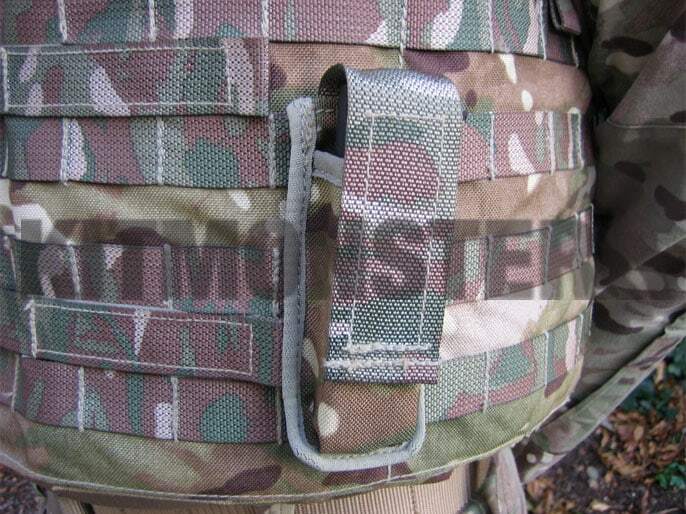 British Multi Terrain Pattern MOLLE ammo pouch. 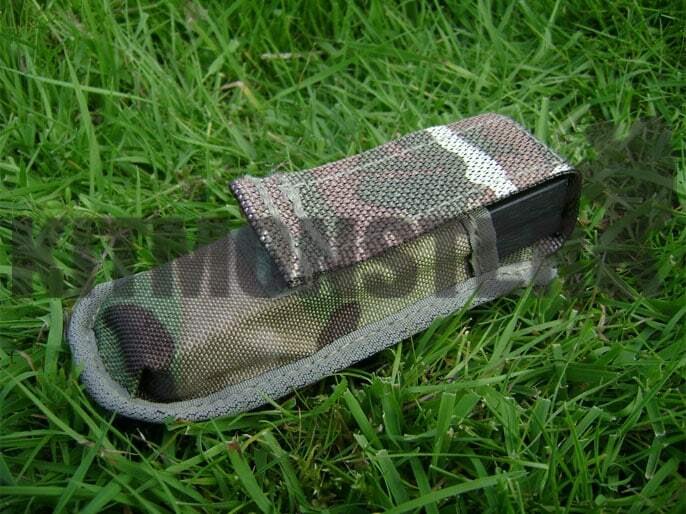 Modular pouch suitable for use with most MOLLE type modular systems. 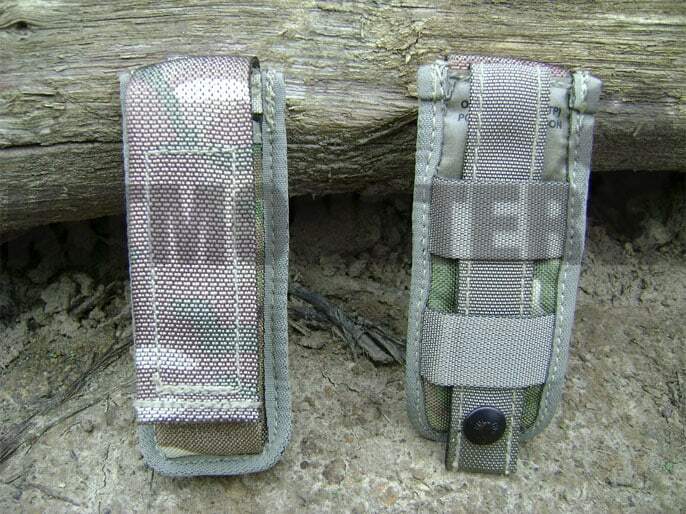 Suitable for most military auto pistol magazines. We've tried these with single and double stack mags for pistols including 1911, Browning, Sig, Beretta and Glock. Alternate uses include Multi Tool or Surefire Flashlight pouch. Velcro closure with pull tab. Majority of stock from this listing is new and unissued, although some may have storage and transit marks, and in rare cases a name or number may be written on. Others will show signs of use, but all are in excellent condition. Examples from this listing are therefore sold as 'surplus' rather than new. Single empty pouch supplied. Sig P226 magazine and Osprey Armour cover are for illustration only, none of these are not included.